The accredited Laboratory of Physical Metallurgy and Chemical Analysis functioning at the Institute is equipped with modern equipment and provides high-quality research services in the field of analysis of physico-chemical properties of light metals. For more detailed information on what we can offer, please use the links below. 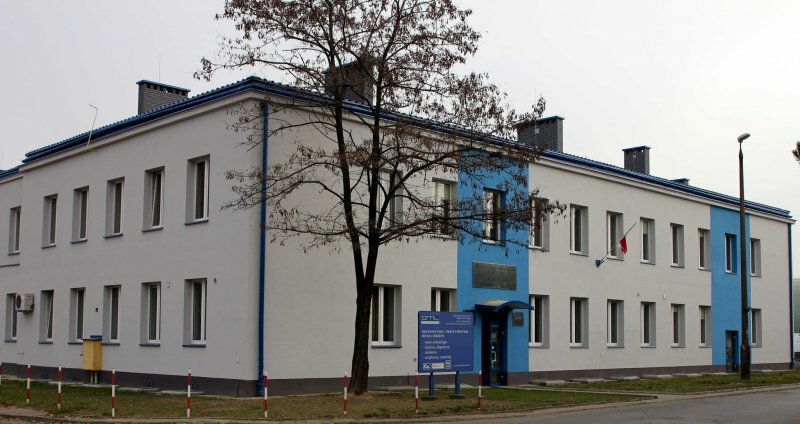 The OML Local Division in Skawina is an independent research institution forming part of the Institute of Non-Ferrous Metals in Gliwice. For over 55 years, the Skawina Division has been investigating various aspects of the processing of aluminium and aluminium alloys, and since some decades also of magnesium and magnesium alloys. The Institute consists of Departments, Sections and Laboratories whose activities are focussed on the development of industrial technology and on the use of aluminium, and Al and Mg alloys in a variety of industrial applications. The Skawina Light Metals Division of the Institute of Non-Ferrous Metals (IMN- OML Skawina) was founded in 1954 and is the oldest, the largest and the unique in Poland centre operating as a research base for the Polish industry of light metals and for the users of finished and semi-finished products made of aluminium, aluminium alloys and magnesium alloys. The research staff of IMN - OML Skawina includes 33 persons, and in this number 23 persons are university graduates (including 7 PhD workers and two associate professors). The group consists of 7 women and 26 men; the average age is 43 years. These are academics with high research output recognized at home and abroad, and technical staff of engineers - highly qualified and with long working experience. Researchers are members of the scientific-technical organisations, including Aluminium Association, Polish Society of Metallurgy, Polish Society for Materials Research, Polish Society of Composite Materials, Polish Committee for Standardization. In recognition of their achievements, long-term employees of IMN-OML Skawina have been awarded numerous national and departmental awards. Nearly sixty years of the Skawina Light Metals Division activities have been and are focussed on the application research done for the light metals industry, mainly aluminium industry. This is a complex work, starting with preparation of molten metal for casting, through plastic working and heat treatment, and in the surface finishing operations ending, not forgetting the aspect of economy and environmental issues. The developed innovative technologies are focussed on the manufacture of products with extra-high properties for industrial applications. The extensive studies touching on many problems of modern technology result in the acquisition of knowledge and experience and contribute to the development of research strategies in the Light Metals Division. testing of mechanical properties and structure examinations performed on aluminium and magnesium alloys by the methods of light and electron microscopy, and by the XRD analysis. Many years of experience and high quality of the research conducted by the staff of the Light Metals Division (OML) in Skawina resulted in accreditation granted in 2002 by the Polish Centre for Accreditation (PCA) for the Laboratory of Physical Metallurgy and Chemical Analysis (LMiAC). The LMiAC Laboratory meets the requirements of PN-EN ISO/IEC 17025:2005 and has got a PCA Certificate No. AB 394 valid until 16 May 2018. The accreditation covers 20 research methods, including opinions and interpretation of results.